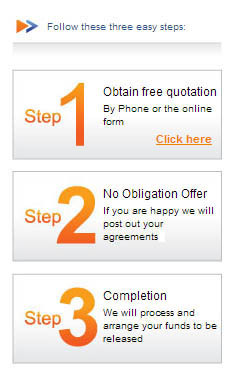 Consolidate Your Debts With A Consolidation Remortgage. Reduce Your Monthly Outgoings & Ease Stress. Get Back In Control Of Your Cash Flow & Creditors. All Quotes Are Free & Discussions Are Confidential. 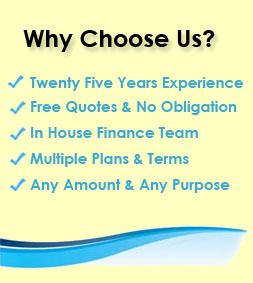 Twenty five years experience of enabling many clients to consolidate their debts with a remortgage. This is an established debt consolidation method that has been utilised by homeowners for a very long time. If used properly this can enable you to get on top of a debt or credit situation through debt consolidation and get back to positive cash flow. Here at First Choice we have witnessed first hand a multitude of our clients turn around their credit / debt scenario with debt consolidation remortgages and they have already obtained over £1 Billion across the UK. It may seem you are stuck in a rut right now, but if you are willing to make the changes required - sometimes maybe a few lifestyle ones - alongside your debt consolidation remortgage, you could get back in control of your debts and relax. Furthermore all quotes are confidential, free and without any obligation whatsoever. Take that step forward and give our UK mortgage team a call on 0800 298 3000 (freephone) or 0333 0031505 (mobile friendly), alternatively complete our short on line enquiry form and make a fresh start on your finances today. By consolidating your debts into a remortgage you could significantly reduce your monthly outgoings, it can also help you restructure your finances and help you find a solution to credit issues you may be experiencing. 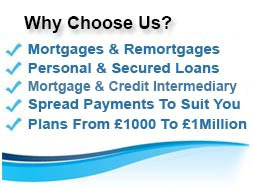 If you choose First Choice you will be able to speak confidentially to our UK based mortgage adviser team who can establish any options available through us and give you the repayments for your refinance mortgage solutions. Other options such as homeowner loans may be a viable alternative to remortgaging, your adviser will be able to talk through some such scenarios with you. 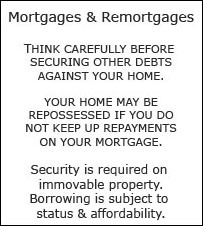 All mortgages are subject to status and refinancing debts may lead to you paying more in interest over the term. One of the key aspects to utilising a remortgage to consolidate your debts is the ability to restructure your finances to reduce your monthly outgoings whilst consolidating your debts all at the same time. Not only can you reduce your outgoings on a month to month basis, the remortgage can also consolidate all of that debt. In other words, the remortgage raises the funds to pay off your existing debtors and you are left only having to make one manageable monthly payment, the repayment on your debt consolidation remortgage. You can get an idea of what repayments may be at you specific remortgage equity levels by trying our Remortgage LTV Repayment Calculator - (Note: Speaking to our team will enable you to get exact repayments matched to your situation via a free quote). Think of it as a spring clean for your finances. 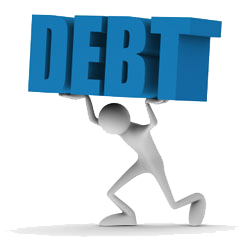 The burden of debt isn`t just about the cost incurred, it is also the time spent paying off your numerous debtors throughout the month, never mind the emotional toll that can takes. The wear and tear of building debt can effect you in many ways but we will try and help deal with at least the financial stresses of it. Please note spreading the time to pay off your credit will usually result in you paying back more overall, so think carefully before securing other debts against your home. First Choice can arrange debt consolidation remortgages to lift that weight and re-adjust your finances so that your mortgage payment is your main payment. Talking about your debt situation can often be the first step towards clearing it and restructuring your finances to put you back in control of your money. Credit cards are used for short term finance, but many people fall into the trap of using them for long term finance only ever making the minimum repayment. If this is the case it happens all too often that many people feel there is no way out, as the burden of credit card debts just continue to rise and rise, even if you are making the necessary minimum payments. Unfortunately that is half of the problem, only making the minimum payment coupled with high interest rates mean that the debt will normally either keep on building or not reduce. It won`t simply go away over time. That is why you need to take action and we are here to help with that. There is no need to tear yourself up about it, instead look into your options to clear those credit card debts for good so those balances don`t continue to rise. Consolidating your credit card debts into a remortgage lets you structure the debt and enables you to pay down the debt over a time frame you can afford. You don`t have to feel trapped by credit cards any longer. First Choice Finance can look to put in place debt consolidation remortgages to clear those intimidating credit card debts. Whether you owe £5,000 or £150,000 to your creditors take the first step towards clearing it and by talking to one of our understanding advisers will consult with you as to whether a debt consolidation remortgage could be the right move for you. Essentially payday loans are a method of short term finance that can be used to cover an unexpected gap in your monthly outgoings on a very rare occasion, they are not suited to dealing with an ongoing cashflow or debt problem. Unfortunately in the media they are often presented as a way to get money quick, lending small loans up to £1,000. This may have resulted in many people using this method of finance in the wrong manner and could negatively impact a persons credit access or cashflow as charges are normally relatively high. For Example continued use of payday loans can suggest to a lender that the borrower may be living past their means and as a result the borrower is considered a higher risk to lend to and thus some lenders will then decline or reject your application. Here at First Choice we understand that sometimes a payday loan may be necessary and that shouldn`t mean the door to debt consolidation remortgages is closed to you. We have developed close standing relationships with specialist lenders that in the right circumstance may be willing to lend to those who have used or are using payday loans. If this sounds like you and you would like to sort your finances on a more permanent basis then fill in our online enquiry form or give us a call one of our advisors will see if we are able to help. We recognise that sometimes the hardship of dealing with increasing debt is too much and any number of things could cause you to miss a payment. When you have numerous bills to pay throughout the month all it takes is for say, the boiler to break, the car to give up or a new baby to come along and the financial outlay could set you back and cause cash flow problems. With your existing bills to pay still there, missed payments can happen and if you can`t catch up they could spiral into further debt problems. Bad/poor credit could be caused by; missed credit, loan or mortgage payments, defaulted credit or bank accounts, county court judgements (ccj`s) among other things. However, falling into credit problems doesn`t mean that your credit access is beyond repair and you could still get certain remortgages for debt consolidation. If you have enough equity available in your property some lenders will be willing to lend. 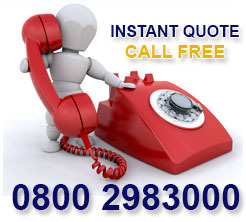 To find out if debt consolidation remortgages for those with bad credit are suitable for your circumstance give us a call on the above number. For more information regarding what constitutes bad credit and the mortgages available choose First Choice Finance to help you navigate this complex mortgage and loan market area. For those with credit problems that high street banks and most specialist lenders are not willing to lend to through a remortgage, a poor credit home owner loan or a debt consolidation loan could act as a solution to your debt problems instead. 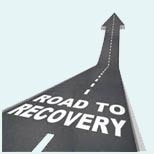 For more information and to see the difference between debt consolidation remortgages and the secured loans routes enquire on line or give us a call and our knowledgeable advisers will deal with any questions you might have without any obligation whatsoever. Remortgaging is something that all homeowners will probably look to do when they want a new deal, but many people are now likely to consider remortgaging for debt consolidation. You may think that remortgaging only takes place when you`re coming to the end of your current contract with your lender. To some degree this is true as if you don`t remortgage, then you may be put onto their standard variable rate, which generally isn`t the best deal you can get put on. You can also remortgage when you`re part way through your current term if you want to try and reduce your monthly repayments. However, we suggest you use a mortgage advice company like First Choice Finance to work out what kind of penalty you need to pay to your existing lender, because it may cancel out any savings. Alternatively, if you get help to remortgage for debt consolidation, you`ll be able to release equity from your property to aim to pay off what you owe on your unsecured loans, credit cards and store cards. That means all your credit card, store card and finance deals can be paid off in one go and replaced by a single lower repayment. Please note you may pay more interest over the term of the loan. Discover more about how to remortgage for debt consolidation and how First Choice Finance can help by getting a free personal illustration at www.firstchoicefinance.co.uk or by calling us at your convenience on 0333 003 1505 from a mobile or 0800 298 3000 from a landline.